RIM’s current woes with its BlackBerry offering are well publicized as the company continues to lose market share from the likes of Android and the iPhone, but the company is looking to fight back with the release of its BlackBerry 10 operating system next year. BlackBerry 10 is being pushed to restore RIM to its former glories and allow for the controlling of the OS. The guys over on CrackBerry have been getting to know the flowing nature of the BlackBerry 10 operating system via the Dev Alpha B hardware. The easy flowing experience is apparent as you go into and out of apps and this continues once the apps are entered as they allow you to swipe back layers of the application without needing to use the back button. It seems the upcoming operating system can easily be manipulated to user’s wishes, which can be seen in the video below. Using the calendar application users will be able to swipe between their upcoming appointments in the day view, and also pull down on the meetings for two days at a time. The photo app allows you to zoom in an out of two images at the same time while switching between them, and while it may not be such a big deal, at least you can do it. Compared to the iOS platform though where it seems that Apple has decided which way for users to do everything, but with BlackBerry 10 this is not the case as the user controls the OS and not the other way around. This starts from the unlock screen as the display will respond to a users command as they swipe in any upward motion to wake up the handset, which compares to the iPhone that needs a fixed left to right motion. Meanwhile in an interview with the BBC Research in Motion chief executive, Thorsten Hein, explains why he feels that BlackBerry 10 will help the company regain market share next year, and briefly shows how the handset flows when switching between applications. He says that despite the operating system not being made available until next year, it won’t damage its chances from winning back customers from rival platforms. It’s not hard to see why the BlackBerry market has lost users, as my daughter recently persuaded me to get her a BlackBerry handset after months of nagging. Once I managed to get the device out of her hands for a short time it quickly became apparent that away from BBM the platform doesn’t really have much going for it, unless you like your physical QWERTY keyboards or the messaging service. BlackBerry 10 does look like it will provide a worthy alternative to Android or the iPhone next year though, but this won’t be known for sure until the software and handsets are available. Will you be going back to BlackBerry next year? 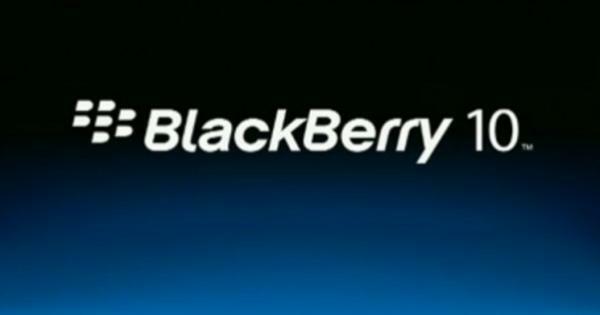 No, I won’t be going ‘back’ to BB….I will STAY with Blackberry as I have never left! Blackberry 10 will be the phone of choice starting next year. What RIM has already released about the new OS is not even close to what they are keeping from us until it releases. RIM has admitted that there is MUCH more to come for when it releases. So if you’re impressed with what RIM has done so far with BB10, then just wait until they show off the other 90% of what it can do! I know I’ll be one of the firsts in line to get the new L-Series for BB10. I am with BlackBerry and love my current phone. I am looking forward to migrating to the blackberry 10 phone. It looks incredible and we are only seeing parts of the finished phone. I own a BalckBerry and have been waiting for the new models to come out. I look forward to making the upgrade. Going at this pace, RIM’s Blackberry 10 is more than 1 year behind schedule since the original release date echoed by Thorsten Heins, and three years behind in innovation since it acquired QNX mobile OS meant for the Blackberry Playbook and new BB phones. For a company that is making progress slower than snails, how the heck can it win back government agencies and Fortune 500 companies that already dumped crappy Blackberry phones for alternatives. Certainly Apple, Google, and Microsoft are not going to sit still, and do nothing to trump BB 10 release. Hi David, just curious if you had any links to articles on what governments have dumped BB? If there’s anything slower than RIM’s progress, it’s government agencies making change. I had a blackberry and i made the biggest mistake switching to iphone. I cannot wait for Blackberry 10. I know now that there is nothing like a BB. NOTHING!!! I have a blackberry and tried iPhone and Droid Razr just for the hell of it… iPhone I tossed out after 2-3 days, the razr I kept as a secondary phone for about 3 months but constant issues then I dropped it less than a foot and the ‘gorilla glass’ shattered. I’m sticking with berry as it never gives me issues but yeah it’s a little slow. It’s frustrating waiting for BB10, but I’m going to wait cause these other phones are for teenagers. I started using Blackberry the first time with Bold 9000 (after dumping iPhone 3G) and kept moving with 9700, 9780 and then 9900. Just can’t wait for BB10. Nothing else is like Blackberry. From experience using BB and then using iphone, android or windows yeah they are all great in its own way, however you will always miss the littlest function on BB. Users that have never used BB will not understand. However they should pick one up and use it as an everyday device it will get things done faster it’s a productive device in my opinion. I’m still using a BlackBerry device (love QWERTY keys!) and I’m eagerly awaiting the release of the next version of its operating system, if only for its QNX nature. I would love to see what it can do that’s different from iOS and Android. I am an advanced computer user, my first smart phone was a HP- IPAQ with a windows os, I found this not to be to user friendly, I tried phones with the android os’s and I did not like that at all. Next I tried a Blackberry and was amazed at how userfriendely and intuitave it was. This was a BB Torch 9800 with the 6 os, I now have the Torch 9810 with the 7 os and I am greatly impressed with this device. I am looking forward to the BB 10 os, I for one like the QWERTY keys, so am thinking about the BB-10_ N series. I have family members who use iPhones, these do not interest me! I have owned a lot of different brands of phones, what I find with BB is Quality and state of art at every turn; RIM is excellent, I will stay with RIM! I also have a Blackberry Playbook and love it; I have it tethered to my BB Torch and would not leave home with out them!